It's absolutely normal to sleep at different temperatures (in fact, we nearly all do! ), and this will affect which comforter is most suitable for you (and your partner, if you sleep with one). Our recommendation will be based on having your room at a comfortable sleeping room temperature which we advise should be maintained at 60-65 degrees fahrenheit. Our recommended room temperature is between 60-65 degrees fahrenheit which is what we base our comforter weights on. This is something to consider when you are making your decision on which weight to choose. 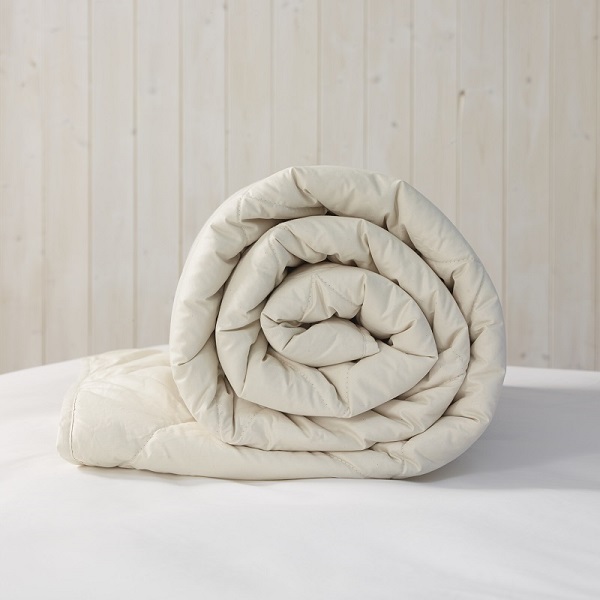 "Love the Woolroom, my wool comforter is super warm....I have allergies and this has been the answer for me. Would love a pillow saving up for that! 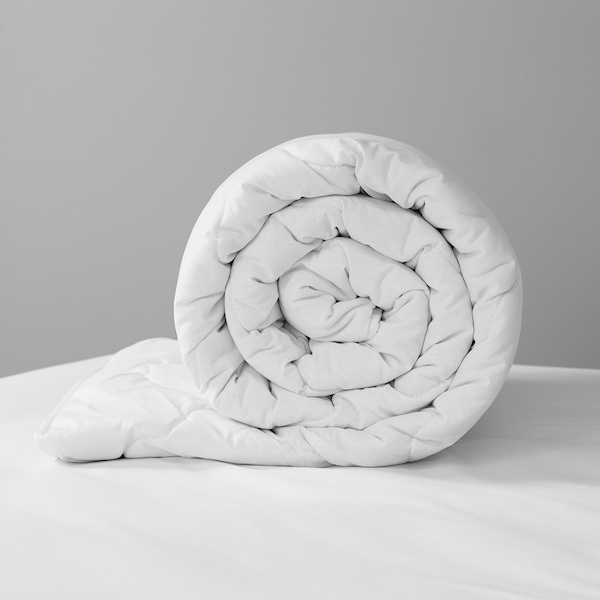 Thank you Woolroom.....my duvet is amazing and I so look forward to cuddling up to my wool comforter." "I am now appreciating my wonderful wool and Alpaca comforter. I have arthritis which always seems to be worse in cold and damp weather. I am "toasty" all night, perfect! So glad that I chose the warmest one. I would thoroughly recommend this product." "I’m in love! with my new wool comforter. It’s light but warm but not too warm. 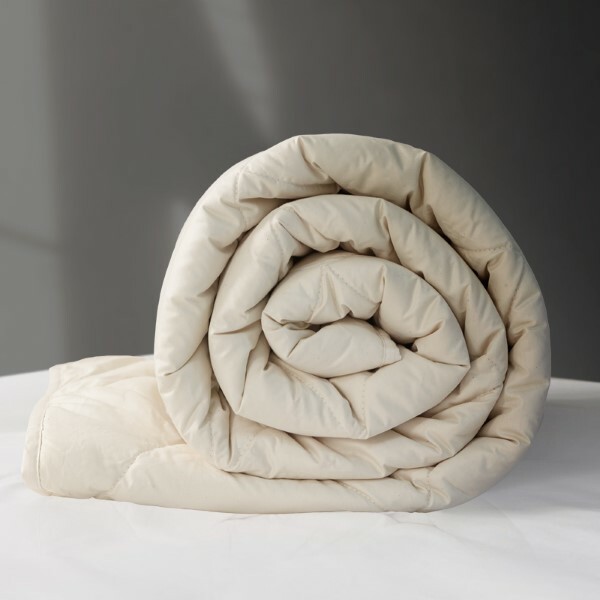 I’ve always used feather before but this light wool duvet has completely changed my thinking. It’s all natural fibre and it’s British. What’s not to love! Service excellent, packaging very good and reusable. Well done Woolroom you have a fan." "We're very happy with the comfort and feel of the Woolroom set we purchased. It has exceeded our expectations and has not triggered any of our allergies thus far; which was the main reason for our purchase. The lushness of the feel is superb and we greatly appreciate the ability to control temperature throughout the year with the "2-in-1 duvet" solution. Packaging and handy carrier / storage bags are also a major plus. Thank you and keep up the good work!" "Great comforter. Previously had a duck feather comforter & it was too warm. The new comforter breathes really well & keeps you cool at night. Sleep has been much improved." "Thanks woolroom, a convert if there ever was one, we have wool comforter, wool topper, and our fabulously comfortable pillows." "I bought a sheeps wool and alpaca comforter..the dispatch and delivery was efficient and the packaging and quality of the product is exellant. We are delighted with the duvet and the ethics of the company and have already recommended to others." "For a start, Woolroom staff are unanimously delightful, pleasant and helpful. I've phoned a few times as I have trouble with untreated wool and was dubious about buying wool products. I was quite wrong... I have now had my bed set of pillows, comforters (luxury light) and mattress cover for long enough to know that they are fabulous to sleep with!" "Prompt service. I bought a pillow and comforters which are great and although the temperatures at the moment are very high I have slept really well without getting hot."